You know real estate. You want your community to see you as the authority on the local market. Naturally, you want your website to reflect your knowledge, how you can help, and the many resources you offer. You want to be a cascading waterfall of real estate advice– a free-flowing source of useful information. When your potential clients are browsing your website on their desktop, they are free to explore all those resources you have to offer. However, when visitors are using a mobile device to view your website, they are likely just looking for the information they need without any extras. It’s like the difference between running water from the tap and carrying a water bottle. When we are home, we enjoy the free-flowing source of water from our kitchen sink. But when we are on a hike, we just need some water to quench our thirst, not to wash the dishes or give the dog a bath. Your mobile visitors are coming to your site with a Nalgene bottle and you are trying to fill it with Niagara Falls. Therefore, your website must adapt to fit into these hand-held rectangular containers of information. Instead of a flood of paragraphs, content, and widgets, mobile viewers respond better to an easy-to-manage stream of concise decision-making information. This carries over from content to media. While flashy animation and a high definition video library might appeal to some desktop users with large displays and fast connections, the mobile user will find these elements too heavy, too slow, and simply too much for the occasion. So, instead of cramming your website full of everything and the kitchen sink, how can you make your website a great source of information while still friendly for mobile device users? Start by testing your site for free to see if Google finds it to be mobile-friendly. Also ask your clients, colleagues, friends, neighbors, and teenage kids to visit your site on their mobile device and give you their honest feedback. Are basic elements like navigation, buttons, and links difficult to find and use? Do you have to pinch to zoom in on text? Do vital interactions with your potential customers (i.e.-filling out contact forms and searches) feel like cumbersome tasks? These critical parts of your website can make the difference between a solid lead and a closed browser window. Even if your website is mobile-friendly, it could probably use a little housekeeping. While your garage may have room to squeeze in your car, there are still things in there that could make it a hassle to open your passenger door. So for every element of your website, ask the question “Why is this here?” Do it out loud. Again, ask your friends and colleagues for their candid feedback. You may find that some of those reasons for clunky widgets that give visitors the weather report at your office are not as convincing as you thought. It’s not “mobilegeddon” but mobile search ranking has changed. In addition, mobile has already surpassed fixed internet access and in order to reach our audiences, we all must adapt to this trend. 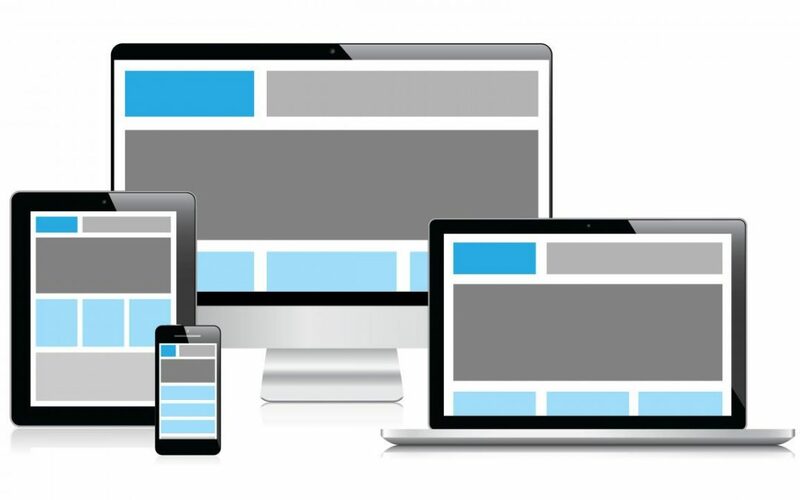 This can be accomplished by creating a mobile version of your website or choosing a responsive design that works across devices and platforms. Your website is a great source of real estate information. Your mobile visitors love those resources but need them in manageable quantities. By offering an online experience that is both desktop and mobile-friendly, you can be that waterfall of real estate knowledge that fits comfortably in the hands of your visitors.